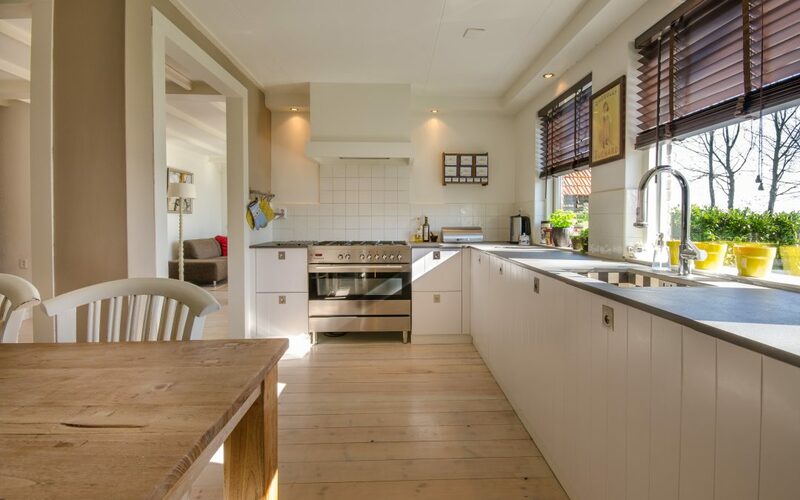 The kitchen is the one room in your home that needs to be cleaned every single day, but it doesn’t have to be a grueling, time-consuming job. Clean your kitchen by following the tips outlined below, and you should be able to get rid of the grime in 15 minutes or less! Gather all of the cleaning supplies that you’ll need to clean your kitchen. If you don’t do this before you start cleaning, you’ll waste time running around trying to find where your cleaners, sponges, and gloves are. It can be especially helpful to put all of your items in a bin or a basket that you can simply take out of its storage spot when it’s time to clean. Fill your sink up with hot water and a few squirts of dishwashing liquid. Keep the sink with the garbage disposal free, if you have one. Clean off all of the leftover food on dishes into the garbage disposal or the trash can. Put any dishes that need to soak into the sink that’s filled with hot, soapy water. Put the dishes that are going to give you the most trouble in first. Pans, bowls, and other large dishes can be filled with more water and suds and then placed on the counter to soak while you work. Let your dishes soak and throw away trash that’s on your floor and countertops. Now, find everything that’s in your kitchen that doesn’t belong there, and put it in a basket. It’s helpful to enlist a family member to help you out with this part because you don’t want to have to stop doing what you’re doing in order to put those items away. Is it in your kitchen but in the wrong place? Put it away now. And remember, now is not the time to reorganize your cabinets! Just take the item and put it back in its place. Load up your dishwasher or hand wash your dishes. (Did you know that you actually use less water when handwashing than you do when you run a full load through your dishwasher?) Get the whole family involved in this if you can and designate a dishwasher, rinser, dryer, and someone to put the dry dishes away. Drain the water from your sink. Sponge off your countertops, kitchen appliances, and your sink. Remember that we’re not doing a deep clean right now. Just wipe everything down quickly. Brush all crumbs onto the floor. Now’s the time to take care of the crumbs. Sweep and mop, or Swiffer. You can break out the vacuum if you feel like doing so. 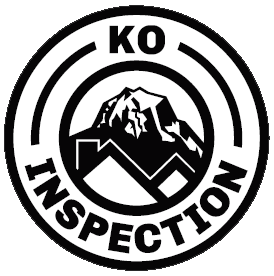 At KO Inspection, we want you to enjoy your home, so we hope you find our tips helpful to quickly clean your kitchen every day. Contact us to schedule one of our inspection services.